One of my favorite assessments is the coaching report for leaders. This assessment only takes about 25 minutes, but it can reveal a lot about attitudes, behavior and competencies in five key areas: self-management, organizational capability, problem solving, team building and team work, and sustaining the vision of the company. Teamwork is something I thought we could focus on this week. I am delighted to provide you with a guest blog by Adrienne Thoman, Marketing & Public Relations Specialist for Harrisburg Area Community College. You will love her ideas for team development! I believe that as a leader, I have influence on what is happening within my team. What I do as a leader ultimately affects the outcome of the group, and there are skills that I can develop to help lead my team to success (just remember that success can be measured in many different ways). How was it possible for me to leave with so many more things than I initially included on my list? It’s possible because I was able to see new options and ideas as I walked through the isles. The same is true of your team… By having a diverse group of members with a variety of skill sets and experiences, you are able to see options that you wouldn’t have seen otherwise. So make sure you have a “Wal-Mart” variety of team members. Find someone who looks at the big picture and someone that likes logistics. Find someone that is a number-cruncher and someone that focuses on the presentation. Find someone that is a great writer and someone that can analyze data. Every perspective will help to strengthen your team and your results. Invitation – Frustrated by quiet team members that don’t seem to step up to the plate? Consider the possibility that they just don’t know where to start. Give them a nudge by gently offering an invitation to help. Perhaps they aren’t sure what needs to be done or where they can be of the most benefit. Maybe they have questions about the goals of the group. Either way, a direct invitation to do something specific can encourage them to get involved. But don’t stop there. You may assume that your team members have the knowledge and skills to get the job done, but your assumptions can leave them (and you) frustrated. Treat them as capable and talented people (they are! ), but make sure that you have given them the tools and support they’ll need to succeed. It is likely that you, as a leader, have information that they do not. So take the time to meet with them at the start of the project to make sure expectations are clear. Remember that you could be helping to develop that new member into a future committee chair! My hubby is a numbers guy – He’d be a great asset to help us stay on budget. On the other hand, he’s not so great at program planning (something that I love to do). Know enough about your team to match them up to projects that they’ll enjoy and be successful at. You’ll accomplish more, and have happier team members. Encourage team members to play on their strengths. Second, remember that we are all motivated differently. It’s important to know why your team members are involved in the first place. My hubby may have joined the committee to network with other businesses and potential clients. I may have joined so that I could develop friendships with other “Bigs” in the program. Take the time to learn why each team member got involved, and then use that information to help match them with tasks, keep them motivated, and have a more positive team experience overall. Information – It sounds simple enough, but it can be a significant challenge to make sure that every member of your team has the most up-to-date information about the project. I saw a comic strip recently that showed different images of a tree swing (how the client described it, how the project manager understood it, how the project was budgeted, what the client really wanted, etc.). In each picture there was a different image of that tree swing. Well, what can you do as a team leader to make sure that all of your team members are working on the same tree swing? Meeting agendas and minutes are a great place to start. If you aren’t using them yet, start now! It’s a great way to not only keep everyone informed but to keep your meetings on task (and on time)! Nominate a “note-taker” at every meeting and email those notes to the entire group following every meeting. Use an online file-sharing system like Google Docs to make sure everyone has the most recent version of a document. Google Docs allows you to create a web-based version of a file that all team members can access and update simultaneously. No need to continually email the “newest” draft or file! It saves time and avoids the frustration of digging through emails to find the newest version of something. Impact – Focus on the impact that your work will have. It’s great to know that you raised $10,000 for breast cancer research, but it’s even better to know that x number of patients will be able to receive a new wig during their treatment, or receive life-saving medications that they couldn’t afford otherwise. The latter offers a very clear and concrete picture of who will benefit from the work of the team. Take time during every meeting to have a mission moment and remind the group why they are there. Let them know why what they are doing matters to the company, to the campus, to the community, etc. Be creative! Not all teams have the same purpose, but they all have a reason for coming together. Find that reason, share it, and keep it at the forefront of every meeting. Fave 5-minute team builders – Do you know all of your team members by name? Do you know what makes them a unique and wonderful addition to your group? Here are two of my favorite activities that are fun, low-stress, and offer the opportunity for everyone to get to know each other better. Highs/Lows – This one is simple! Allow everyone in the room the opportunity to share their high moment and their low moment since the last time you met as a group. It only takes a few minutes, but it really helps to understand what frame of mind everyone is in. It also gives you the opportunity to celebrate the highs and support each other through the lows. Question Ball – Grab an inexpensive ball the next time you are at Wal-Mart. In advance of your meeting, use a Sharpie to write questions over the ball (bacon or tofu? Aliens or ghosts? Favorite childhood TV show? If the entire world was listening, what would you say? Etc.). The team will stand in a circle and pass the ball to each other. When the ball is thrown to you, you’ll answer the question that your thumb lands on when you catch the ball. It’s silly, it’s fun, and it’s a great way to learn about your team! 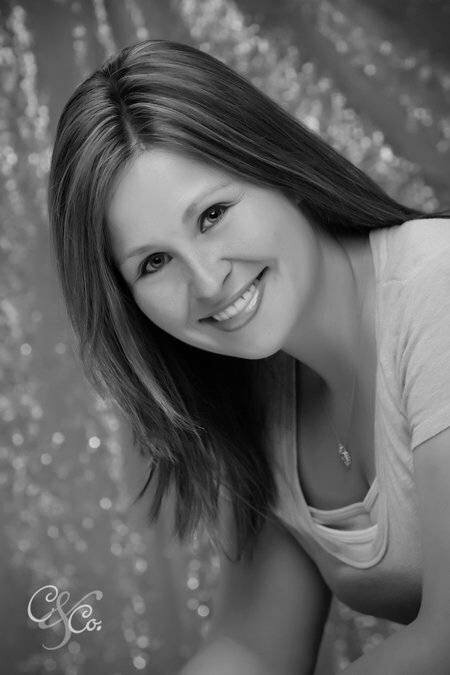 Adrienne Thoman works as a Marketing & Public Relations Specialist for HACC, Central Pennsylvania’s Community College. She also moonlights as a Zumba Fitness Instructor in the Central PA area. Comments/questions can be directed to Adrienne at adriennethoman@yahoo.com. This entry was posted in Assessments, Business, Coaching, Executive Coach, The Manager’s Coach and tagged 360 degree assessments, Adrienne Thoman, assessments, Business, career tips, CEO, coaching executives, criticizing, cultural assessments, employee behavior, Executive Coach, for the employee, for the employer, HACC, human resources, judging, launching lives, manager's coach, Sylvia Hepler, team building, teamwork, work tips, YouTube. Bookmark the permalink.